Why waste money with UPS and FedEx? 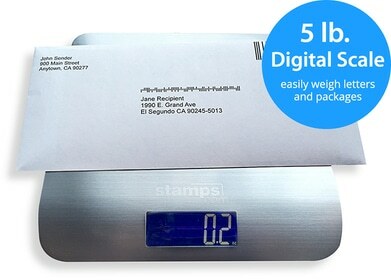 Stamps.com and the US Postal Service have created a smarter alternative. Every company is looking for ways to save money and become more efficient. Mailing and shipping is a great place to start. If you find yourself habitually reaching for FedEx® or UPS® forms, it may be time to give the USPS and Stamps.com a try. Together we’ve created a simple, powerful and reliable solution that helps you save a lot of money on mailing and shipping. Actual Package Weight 3 lbs. 3 lbs. 3 lbs. DIM Weight for 12″ × 12″ × 8″ package 9 lbs. 9 lbs. 3 lbs. Swipe right to see entire table * 2019 Standard List Rate for a 9 lb. package (DIM Weight). Assumes 20% Volume Discount. ** 2019 USPS Priority Mail Commercial Base rate for a 3 lb. package. *** Fuel surcharge rates effective December 31, 2018. Fuel surcharge rates change every month. EXAMPLE: Which Shipping Carrier is cheapest for a 3 lb. package? DIM Weight of 9 lbs. applies for UPS Ground and FedEx Home Delivery. Package Weight of 3 lbs. applies for USPS Priority Mail. Wider area of service—every day to every address in the U.S.! 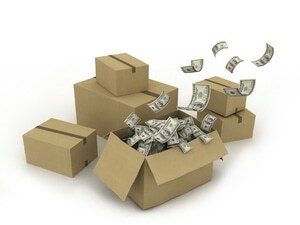 No hidden costs with USPS shipping. Flat rate boxes—if it fits it ships!